This morning, a troubling article ominously titled There Are Too Many Flavors and It Has Turned the Snack Industry Into a Vicious Hellscape appeared in my RSS reader. I clicked. Before I began reading, the URL alone presented a fallible premise: gq.com/story/too-many-snack-bad. Too many snacks bad? Never. 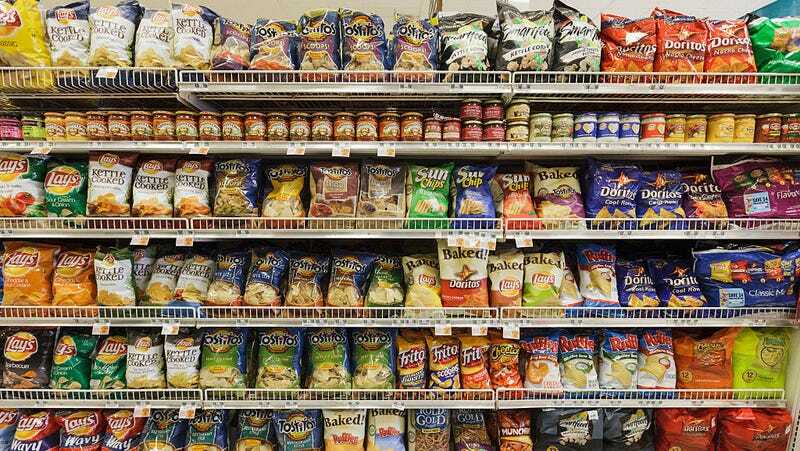 I was all set to dismiss writer Dayna Evans’ argument on principle: There is no such thing as too many snack flavors. (As Cady Heron put it, the limit does not exist.) But whether or not you agree that the opportunity to live in a paradise of bacon-mac-and-cheese pretzel bites and flavor-blasted yogurts are what the Founding Fathers intended for us, her piece is worth a read. “It has become tedious and overwhelming to just swing by the grocery store late-night when you need to satisfy a few cravings—the shelves are too clogged with dusty clambake-flavored tortilla chips,” she argues. I can almost concede this point. On St. Patrick’s Day, I stopped at a convenience store en route to a friend’s party and was paralyzed by the number of available snack options and beer flavors—to say nothing of how to pair the two—that I almost gave up and just brought Diet Coke to the party. It can be a fraught mission, trying to taste through the onslaught of Xtreme and Double Stuf options on shelves these days, but one in a million—like a shooting star or the Northern Lights—there emerges a true winner from among the morass. That’s why The Takeout is here to do the hard but necessary taste-testing work for you. Flavor haters and chip extremists alike should give Evans’ piece a read over at GQ today, then ask yourself why Taco Bell Diablo sauce tortilla chips are as yet an unrealized dream.